The reception history of Jane Austen shows how Austen's works, at first having modest fame, became wildly popular. Her books are both the subject of great study and the center of various fan culture. 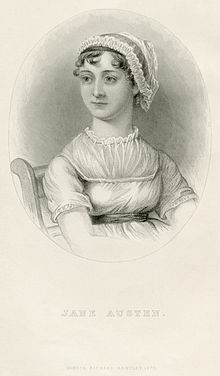 Jane Austen, the writer of such works as Pride and Prejudice (1813) and Emma (1815), has become one of the most famous novelists in the English language. During her lifetime, Austen's books did not make her very famous. Like a great number of women writers at that time, she chose to publish her books secretly. Only among people in the aristocracy, her writing was an open secret. At the time they were published, Austen's works were thought fashionable by members of high society. However, they received only a few good reviews. By the mid-nineteenth century, her works were respected by people who were learned in literature. They thought that liking her works was a sign that they were clever. In 1870, her nephew published Memoir of Jane Austen. This showed her to a wider public as "dear, quiet aunt Jane". After this, her works were published again in popular editions. By the twentieth century, lots of groups had formed. Some praised her and some defended her from the "teeming masses". However, they all claimed to be true Janeites, or people who really appreciated Austen. Early in the twentieth century, scholars made a collection of her works (the first for any British novelist). But it was not until the 1940s that Austen was widely accepted as a "great English novelist". In the second half of the twentieth century, people began studying Austen more and more, and in different ways. For example, they studied her works artistically, ideologically, and historically. The university English departments began developing in the first half of the twentieth century. As they grew, criticism of Austen split into remarkable high culture and popular culture trends. In the late twentieth century, fans made Jane Austen societies and clubs. They praised Austen, her time, and her works. In the early twenty-first century, Austen fans support an industry of printed sequels and prequels. They also support Austen's work in television and film. Austen signed her first book in print as "By a Lady". Jane Austen lived her entire life as part of a large and close family. Her family was in the lower part of the English gentry. Her family's steady support was very important to Austen's development as a writer. For example, Austen read her first drafts of all of her books to her family. In this way, she received encouragement and help. In fact, it was her father who first tried to put her book in print. Austen's training as a writer lasted from when she was a teenager until she was about 35. During this time, she experimented with different literary forms. This included the epistolary novel (novel in letters), which she tried and did not like. She wrote and revised three important novels and began a fourth. When Sense and Sensibility (1811), Pride and Prejudice (1813), Mansfield Park (1814) and Emma (1815) came out in print, she became a successful writer. However, novel-writing was not easy for women in the early nineteenth century. This was because it made them famous. It also made people think them unfeminine. So like a great number of other female writers, Austen published her books secretly. In time, though, her writing became an open secret among the aristocracy. In one of her visits to London, the Prince Regent invited her to his home. His librarian showed her around and said that the Regent liked her books very much. The librarian added that "if Miss Austen had any other Novel forthcoming, she was quite at liberty to dedicate it to the Prince". Austen did not like the prince, who spent a lot of money. She did not want to follow this suggestion. However, her friends persuaded her to follow it. Therefore, Emma was dedicated to him. Austen refused the librarian's suggestion after that to write a historical romance for the prince's daughter's marriage. In the last year of her life, Austen revised Northanger Abbey (1817) and wrote Persuasion (1817). She also began another novel, which was later titled Sanditon. She could not finish it before her death. Austen did not have time to see Northanger Abbey or Persuasion through the press. However, her family published them as one book after she died. Her brother Henry included a "Biographical Notice of the Author". This short biography made people think of Austen as a quiet aunt who wrote in her free time. "Neither the hope of fame nor profit mixed with her early motives (purposes) ... [S]o much did she shrink from notoriety, that no accumulation of fame would have induced (made) her, had she lived, to affix (put) her name to any productions of her pen ... in public she turned away from any allusion to the character of an authoress." However, Austen shows excitement in her letters about getting her books in print. She was also interested in how much money the books would make. Austen was a professional writer. Austen's works are noted for their realism, biting social commentary, and clever use of free indirect speech. They are also remarkable for their burlesque and irony. They criticize the novels of sensibility of the second half of the eighteenth century. They are part of the change to nineteenth-century realism. As Susan Gubar and Sandra Gilbert explain, Austen laughed at "love at first sight, the primacy (first importance) of passion over all other emotions and/or duties, the chivalric exploits of the hero, the vulnerable sensitivity of the heroine, the lovers' proclaimed (declared) indifference to financial considerations, and the cruel crudity of parents". Austen's stories, though comic, focus on the way women depend on marriage to secure social standing and economic security. She was also concerned with moral problems, like Samuel Johnson, who strongly influenced her. In 1816, the editors of The New Monthly Magazine noted Emma's publication. However, it did not see it as important enough to review. Austen's books quickly became fashionable. Aristocrats who liked to set the fashion and taste of the day especially liked them. Henrietta Ponsonby, Countess of Bessborough wrote about Sense and Sensibility in a letter to a friend. She said: "it is a clever novel. ... tho' it ends stupidly, I was much amused by it." The 15-year-old daughter of the Prince Regent, Princess Charlotte Augusta, compared herself to Marianne Dashwood. She remarked, "I think Marianne & me are very like in disposition, that certainly I am not so good, the same imprudence, &tc". Pride and Prejudice was enjoyed by Richard Sheridan, a person who wrote plays. He told a friend to "[b]uy it immediately" for it "was one of the cleverest things" he had ever read. Anne Milbanke, future wife of Lord Byron, wrote that "I have finished the Novel called Pride and Prejudice, which I think a very superior (good) work." She added that "is the most probable fiction I have ever read" and had become "at present the fashionable novel". The Dowager Lady Vernon told a friend that Mansfield Park was "[n]ot much of a novel, more the history of a family party in the country, very natural". Lady Anne Romilly told her friend, the writer Maria Edgeworth, that "[Mansfield Park] has been pretty generally admired here". Edgeworth later said that "we have been much entertained with Mansfield Park". High society liked and approved of Austen's novels. However, they received few reviews while she was alive. There were two for Sense and Sensibility. Pride and Prejudice received three. Mansfield Park received none. There were seven for Emma. Most of the reviews were short, careful, and approving. They mostly focused on the moral lessons of her books. Brian Southam writes about these reviewers: "their job was merely to provide brief (short) notices, extended with quotations, for the benefit (good) of women readers compiling their library lists and interested only in knowing whether they would like a book for its story, its characters and moral". Also read again and for the third time at least Miss Austen's very finely written novel of Pride and Prejudice. That young lady had a talent for describing the involvement and feelings and characters of ordinary life which is to me the most wonderful I ever met with. The Big Bow-wow strain I can do myself like any now going, but the exquisite touch which renders (makes) ordinary commonplace things and characters interesting from the truth of the description and the sentiment is denied to me. What a pity such a gifted creature died so early! Novelist Walter Scott praised Austen's "exquisite touch which renders ordinary commonplace things ... interesting". Northanger Abbey and Persuasion were published together in December 1817. They were reviewed in the British Critic in March 1818 and in the Edinburgh Review and Literary Miscellany in May 1818. The reviewer for the British Critic felt that Austen's great use of realism was proof of a limited imagination. The reviewer for the Edinburgh Review thought differently. He praised Austen for her "exhaustless invention". He was also pleased with Austen's stories because they mixed familiar scenes with surprising twists. Austen scholars have pointed out that these early reviewers did not know what to make of her works. For example, they wrongly understood her use of irony. Reviewers thought Sense and Sensibility and Pride and Prejudice were stories of virtue overcoming vice. In the Quarterly Review in 1821 another review came out. Richard Whately was an English writer and theologican. He published the most serious early review of Austen's work. Whately compared Austen and great writers such as Homer and Shakespeare with favor. He praised the dramatic quality of her stories. He also said that the novel was a real, respectable genre of literature. He argued that imaginative literature, especially narrative, was very valuable. He even said they were more important than history or biography. When it was well done, as Austen's works were, Whately said that novels wrote about human experience that the reader could learn from. In other words, he believed that it was moral. Whately also addressed Austen's position as a female writer. He wrote: "we suspect one of Miss Austin's [sic] great merits in our eyes to be, the insight she gives us into the peculiarities of female characters. ... Her heroines are what one knows women must be, though one never can get them to acknowledge (admit) it." No better criticism of Austen was put in print until the late nineteenth century. Whately and Scott had begun the Victorian era's view of Austen. George Henry Lewes, partner of George Eliot, compared Austen to Shakespeare. Austen had a great number of readers who liked and respected her in the nineteenth century. According to critic Ian Watt, they liked her "scrupulous ... fidelity to ordinary (usual) social experience". However, Austen's works were not exactly what her Romantic and Victorian British audience liked. They wished for "powerful emotion [be] authenticated by an egregious display of sound and color in the writing". Victorian critics and audiences liked the work of writers like Charles Dickens and George Eliot. Compared to them, Austen's works seemed narrow and quiet. Austen's works were put in print again beginning in late 1832 or early 1833. Richard Bentley printed them in the Standard Novels series, and remained in print for a long time after that. However, they were not bestsellers. Southam describes her "reading public between 1821 and 1870" as "minute beside the known audience for Dickens and his contemporaries". The people who read Austen saw themselves as clever readers. They were the cultured few. This became a well-known theme of Austen criticism in the nineteenth and early twentieth centuries. George Henry Lewes was a philosopher and literary critic. He spoke about this theme in a series of articles in the 1840s and 1850s. "The Novels of Jane Austen" was put in print in Blackwood's Magazine in 1859. In there, Lewes praised Austen's books for "the economy of art ... the easy adaptation of means to ends, with no aid (help) from superfluous elements". He also compared her to Shakespeare. He argued that Austen was not good at making up plots. However, he still enjoyed the dramatic quality of her works. He said: "The reader's pulse never throbs, his curiosity is never intense (very strong); but his interest never wanes (stops) for a moment. The action begins; the people speak, feel, and act; everything that is said, felt, or done tends towards the entanglement or disentanglement of the plot; and we are almost made actors as well as spectators (viewers) of the little drama." Why do you like Miss Austen so very much? I am puzzled on that point ... I read that sentence of yours, and then I got the book. And what did I find? An accurate daguerreotyped portrait of a commonplace (everyday) face; carefully fenced, highly cultivated garden, with neat borders and delicate flowers; but no glance of bright vivid physiognomy, no open country, no fresh air, no blue hill, no bonny beck. I should hardly like to live with her ladies and gentlemen, in their elegant but confined houses. Isabelle de Montolieu translated Austen's works into French. Soon after Austen's works were printed in Britain, they appeared in some European countries. They began appearing in 1813 with a French translation of Pride and Prejudice. It was quickly followed by German, Dutch, and Swedish editions. They were not always easy to get in Europe. Austen was not well known in Russia. The first Russian translation of an Austen novel did not appear until 1967. Austen’s works were translated into various European languages. However, Europeans did not see her works as part of the English novel tradition. This was partly because of the changes made by translators. They put in sentimentalism into Austen's works. They also failed to put in her humor and irony. Therefore, European readers more often thought of Walter Scott's style as the English novel. The great changes made by her translators made the Continent receive Austen differently than in Britain. For example, the French writer Isabelle de Montolieu translated several of Austen's novels into the French sentimental novel. In Montolieu's Pride and Prejudice, lively conversations (talks) between Elizabeth and Darcy were replaced by calm, proper ones. In Jane Austen's work, Elizabeth said that she has "always seen a great similarity in the turn of [their] minds" (her and Darcy's). She says this is because they are "unwilling to speak, unless [they] expect to say something that will amaze (surprise) the whole room". However, this becomes "Moi, je garde le silence, parce que je ne sais que dire, et vous, parce que vous aiguisez vos traits pour parler avec effet." ("Me, I keep silent, because I don't know what to say, and you, because you excite your features for effect when speaking.") Cossy and Saglia explained, "the equality of mind which Elizabeth takes for granted is denied (not given) and gender distinction introduced". Austen’s works were seen in France as part of a sentimental tradition. Because of this, people were more interested in the works of French realists like Stendhal, Balzac, and Flaubert. Austen was also treated as a romantic writer in Germany. James Edward Austen-Leigh had a picture of Austen painted for the Memoir. He softened her image. He wanted to make the Victorian public like and accept her. For years, people thought the same of Austen as Scott and Whately. Only a few people actually read her novels. In 1870 the first important Austen biography, A Memoir of Jane Austen, was written by Jane Austen's nephew, James Edward Austen-Leigh and printed. This changed the way people thought of Austen. When it came out in print, Austen's popularity and critical standing increased greatly. The Memoir made people think of an untrained writer who wrote masterpieces. People thought Austen was a quiet, middle-aged unmarried aunt. This made them feel that her works were safe for respectable Victorian families to read. The Memoir made Austen's books be printed again in great numbers. The first popular editions came out in 1883. They were a cheap series printed by Routledge. This was followed by editions with pictures, collectors' sets, and scholarly editions. However, critics still said that only people who could really understand the deep meaning of Austen's books should read them. However, after the Memoir was printed, much more criticism about Austen was printed. More came out in two years than had come out in the last 50 years. In 1913, William Austen-Leigh and Richard Arthur Austen-Leigh printed a family biography. It was titled: Jane Austen: Her Life and Letters—A Family Record. William and Arthur were both part of the Austen family. It was based mostly on family papers and letters. It is described by Austen biographer Park Honan as "accurate, staid (steady), reliable, and at times vivid and suggestive". The authors moved away from the sentimental tone of the Memoir. However, they did not go much beyond the family records and traditions they always had. Therefore, their book offers only facts. It does not offer much interpretation. We see the novels praised for their elegance of form and their surface 'finish'; for the realism of their fictional world, the variety and vitality (strength) of their characters; for their pervasive humour; and for their gentle and undogmatic morality and its unsermonising delivery. The novels are prized for their 'perfection'. Yet it is seen to be a narrow perfection, achieved within the bounds of domestic comedy. began by being an ironical critic; she manifested her judgment ... not by direct censure, but by the indirect method of imitating and exaggerating the faults of her models. ... Criticism, humour, irony, the judgment not of one that gives sentence but of the mimic who quizzes while he mocks, are her characteristics. 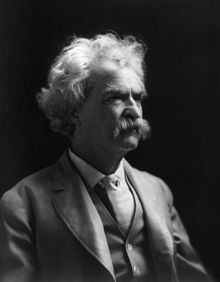 Mark Twain was one of Austen's American critics (c. 1907). Simpson's essay was not well-known. It did not a lot of influence until Lionel Trilling quoted it in 1957. Margaret Oliphant was another important writer whose criticism of Austen did not have much influence. She described Austen as "armed with a 'fine vein of feminine cynicism,' 'full of subtle power, keenness, finesse, and self-restraint (control),' with an 'exquisite sense' of the 'ridiculous,' 'a fine stinging yet soft-voiced contempt,' whose works are very 'calm and cold and keen'". This kind of criticism was not fully developed until the 1970s. This was when feminist literary criticism began. Austen's works had been in print in the United States from 1832. However, it was only after 1870 that Americans began seriously considering Austen's works. As Southam says, "for American literary nationalists Jane Austen's cultivated scene was too pallid, too constrained, too refined, too downright unheroic". Austen was not democratic enough for Americans. Also, her books did not have the frontier themes that often came out in American literature. The way Americans thought about Austen was represented in an argument between William Dean Howells and Mark Twain. Through his essays, Howells helped make Austen much more popular. Twain, however, used Austen to argue against the Anglophile tradition in America. In his book Following the Equator, Twain described the library on his ship: "Jane Austen's books ... are absent from this library. Just that one omission alone would make a fairly good library out of a library that hadn't a book in it." "Might we not ... borrow from Miss Austen's biographer the title which the affection of a nephew bestows upon (gives) her, and recognise her officially as 'dear aunt Jane'?" The Encyclopædia Britannica's changed the way they described Austen as she became more and more popular. The eighth edition (1854) called her "an elegant novelist". The ninth edition (1875) praised her as "one of the most distinguished (remarkable) modern British novelists". Austen novels began to be studied at universities. Her works also began to come out in histories of the English novel. Most people still thought of her as "dear aunt Jane", the way she was first presented in the Memoir. Howells had made this picture of Austen famous by his essays in the Harper's Magazine. Writer and critic Leslie Stephen described a mania for Austen that grew in the 1880s as "Austenolatry". It was only after the Memoir was printed that readers grew to like Austen as a person. Until then, literary elites had said their enjoyment of Austen showed how clever they were. However, around the 1990s, they grew troubled at how popular Austen's works became. They began calling themselves Janeites. They wanted to show that they were different from the people who they thought did not understand Austen properly. American novelist Henry James liked Austen. Once he said she was as great as Shakespeare, Cervantes, and Henry Fielding - "the fine painters of life". But James thought Austen was an "unconscious" artist who was "instinctive and charming". In 1905, James said he did not like the public interest in Austen. He said it was more than Austen's "intrinsic merit (worth) and interest" deserved. James said that this was mostly because of the "stiff breeze of the commercial, ... the special bookselling spirits. ... the body of publishers, editors, illustrators, producers of the pleasant twaddle of magazines; who have found their 'dear,' our dear, everybody's dear, Jane ... to their material purpose, ... to pretty reproduction in every variety of what is called tasteful, and in what seemingly proves to be salable, form." Reginald Farrer, a British travel writer, did not like the sentimental image of "Aunt Jane". Instead, he wanted to study Austen's fiction in a new way. In 1917, he published a long essay in the Quarterly Review. Jane Austen scholar A. Walton Litz called it the best single introduction to her works. Southam calls it as a "Janeite" piece without the worship. Farrer claimed that Jane Austen was not unconscious (disagreeing with James). He said that she was a writer of great concentration and a sharp critic of her society. He called her "radiant and remorseless", "dispassionate yet pitiless", with "the steely quality, the incurable rigor of her judgment". Farrer was one of the first critics who saw Austen as a subversive writer. Austen was the first English novelist whose works were published in a scholarly edition. The light of Austen scholarship was beginning to shine through several important early works. These works helped Austen become well accepted in the academy. The first was Oxford Shakespearean scholar Andrew Cecil Bradley's 1911 essay. This essay was "generally (largely) regarded (seen) as the starting-point for the serious academic approach to Jane Austen". Bradley pointed out Austen's ties to eighteenth-century critic and writer Samuel Johnson. He argued that she was a moralist as well as a humorist. According to Southam, this argument was "totally (completely) original". Bradley separated Austen's works into "early" and "late" novels. Scholars still separate Austen's works as Bradley did today. The second original early-twentieth-century critic of Austen was R. W. Chapman. His edition of Austen's works was the first scholarly edition of the works of any English novelist. The Chapman edition has been the basis for all editions of Austen's works after that. After Bradley and Chapman, Austen scholarship grew very quickly in the 1920s. British writer E. M. Forster pointed out Austen's works for his idea of the "round" character. It was with the 1939 publication of Mary Lascelles' Jane Austen and Her Art—"the first full-scale historical and scholarly study" of Austen—that the academic study of her works matured. 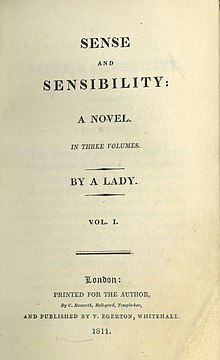 Lascelles included a short essay about her, a study of the books Austen read and their influence on her writing, and a study of Austen's style and "narrative art". Lascelles felt that critics before her had all worked in a way "so small that the reader does not see how they have reached their conclusions until he has patiently found his own way to them". She wished to study all of Austen's works, style, and techniques together. Critics after Lascelles agreed that she studied them well. Lascelles was interested in Austen's connection to Samuel Johnson and her desire to discuss morality through fiction. In this she was much like Bradley before her. But around this time, some fans of Austen began to worry that her works were being enjoyed by only a few people. They were fearful that Austen was being criticized only by academics. This was an argument that continued to the beginning of the twenty-first century. 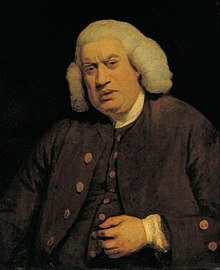 Modern scholars were interested in Austen's ties to important eighteenth-century people such as Samuel Johnson. Mid-century revisionist views started to become popular, and scholars began studying Austen more sceptically. D. W. Harding, adding to Farrer, wrote an essay called "Regulated Hatred: An Aspect of the Work of Jane Austen". He argued that Austen did not support society's customs, and that her irony was not funny but bitter. He also claimed that Austen wanted to show the faults of the society she wrote about. Through her use of irony, Austen tried to protect herself as an artist and a person from the behavior and practices she disliked. Almost at the same time, British critic Q. D. Leavis printed "Critical Theory of Jane Austen's Writing" in Scrutiny in the early 1940s. In there, Leavis argued that Austen was a professional, not an amateur (untrained), writer. Harding's and Leavis's articles were followed by Jane Austen: Irony as Defense and Discovery (1952). This was written by Martin Mudrick, who saw Austen as lonely, defensive, and critical of her society. He carefully described the connection between Austen's attitude towards the literature of her time and how she used irony to show the difference of how society was, and how she thought it could be. An important British critic, F. R. Leavis, said in The Great Tradition (1948) that Austen was one of the great writers of English fiction. Ian Watt agreed, and helped shape the arguments about the genre of the novel. The revisionist views and Leavis's words helped Austen to have a great reputation among academics. They agreed that she "combined (put together) [Henry Fielding's and Samuel Richardson's] qualities of interiority and irony, realism and satire to form an author superior to (better than) both". After the Second World War, people began studying Austen more deeply, and in different ways. A great number of people have studied Austen as a political writer. Critic Gary Kelly explains, "Some see her as a political 'conservative' because she seems to defend the established social order. Others see her as sympathetic to 'radical' politics that challenged the established order, especially in the form of patriarchy ... some critics see Austen's novels as ... complex, criticizing aspects of the social order but supporting stability and an open class hierarchy." In Jane Austen and the War of Ideas (1975), perhaps the most important of these works, Marilyn Butler argues that Austen was greatly influenced by the principal moral and political arguments of her time, and that she had a partisan, firmly conservative and Christian position in these arguments. Alistair M. Duckworth in The Improvement of the Estate: A Study of Jane Austen's Novels (1971) argues that Austen used the concept of the "estate" to symbolise all that was important about ... English society, which should be conserved (kept), improved, and passed down to future generations. As Rajeswari Rajan notes, "the idea of a political Austen is no longer seriously challenged". The questions scholars now study include: "the Revolution, war, nationalism, empire, class, 'improvement' [of the estate], the clergy, town versus (against) country, abolition, the professions, female emancipation; whether her politics were Tory, Whig, or radical; whether she was a conservative or a revolutionary, or occupied (kept) a reformist position between these extremes". "... in all her novels Austen examines the female powerlessness (weakness) that underlies ... pressure to marry, the injustice (unfairness) of inheritance laws, the ignorance of women denied (not given) formal (official) education, the psychological vulnerability (danger) of the heiress or widow, the exploited dependency of the spinster, the boredom of the lady provided with vocation"
In the 1970s and 1980s, Austen studies was influenced by Sandra Gilbert and Susan Gubar's The Madwoman in the Attic (1979). The Madwoman in the Attic explores the "explosive anger" of nineteenth-century female English writers under their "decorous (proper) surfaces". This work, together with other feminist criticism of Austen, has made people see her as a woman writer. The interest these critics showed in Austen made people discover and study other women writers in Austen's time. Also, when Julia Prewitt Brown's Jane Austen's Novels: Social Change and Literary Form (1979), Margaret Kirkham's Jane Austen: Feminism and Fiction (1983), and Claudia L. Johnson's Jane Austen: Women, Politics and the Novel (1988) were printed, scholars were no longer able to argue that Austen was firmly "apolitical, or even ... 'conservative'". Kirkham, for example, said that Austen's thought and that of Mary Wollstonecraft were quite similar. She called them both "Enlightenment feminists". Johnson also places Austen in an eighteenth-century political tradition. However, she notes the influence Austen received from the political novels of the 1790s written by women. In the late-1980s, 1990s, and 2000s ideological, postcolonial, and Marxist criticism dominated Austen studies. Generating heated debate, Edward Said devoted a chapter of his book Culture and Imperialism (1993) to Mansfield Park, arguing that the peripheral position of "Antigua" and the issue of slavery demonstrated that colonial oppression was an unspoken assumption of English society during the early nineteenth century. In Jane Austen and the Body: 'The Picture of Health', (1992) John Wiltshire explored the preoccupation with illness and health of Austen's characters. Wiltshire addressed current theories of "the body as sexuality", and more broadly how culture is "inscribed" on the representation of the body. There has also been a return to considerations of aesthetics with D. A. Miller's Jane Austen, or The Secret of Style (2003) which connects artistic concerns with queer theory. ↑ Clark, Robert. "Jane Austen". The Literary Encyclopedia (subscription only). 8 January 2001. Retrieved 24 August 2008. ↑ Lascelles, 4–5; MacDonagh, 110–28; Honan, Jane Austen, 79, 183–85; Tomalin, 66–68. ↑ Le Faye, Family Record, 100, 114. ↑ Le Faye, Family Record, 104. ↑ Le Faye, Family Record, 225. ↑ Qtd. in Le Faye, Family Record, 226. ↑ Le Faye, Family Record, 227. ↑ Le Faye, "Memoirs and biographies", 51. ↑ Qtd. in Fergus, 12. ↑ Southam, "Criticism, 1870-1940", 102. ↑ Litz, Jane Austen, 3–14; Grundy, 192–93; Waldron, 83, 89–90; Duffy, 93–94. ↑ Gilbert and Gubar, 151. ↑ Litz, Jane Austen, 142. ↑ Honan, 124–27; Trott, 92. ↑ Qtd. in Southam, "Introduction", Vol. 1, 7. ↑ Qtd. in Honan, Jane Austen, 289–90; emphasis in original. ↑ Qtd. in Honan, Jane Austen, 318. ↑ Qtd. in Honan, Jane Austen, 318–19; emphasis in original. ↑ 23.0 23.1 Qtd. in Honan, Jane Austen, 347. ↑ Fergus, 18–19; Honan, Jane Austen, 287–89, 316–17, 372–73; Southam, "Introduction", Vol. 1, 1. ↑ Southam, Vol. 1, 6. ↑ Scott, 58; see also Litz, "Criticism, 1939–1983", 110; Waldron, 85–86; Duffy, 94–96. ↑ 30.0 30.1 Southam, "Scott on Jane Austen", Vol. 1, 106. ↑ 31.0 31.1 Waldron, 89. ↑ 33.0 33.1 Waldron, 89–90; Duffy, 97; Watt, 4–5. ↑ Southam, "Whately on Jane Austen", Vol. 1, 100–01. ↑ Duffy, 98–99; see also MacDonagh, 146; Watt, 3–4. ↑ Southam, "Introduction", Vol. 1, 2; Southam, "Introduction", Vol. 2, 1. ↑ Southam, "Introduction", Vol. 1, 20. ↑ Southam, "Introduction", Vol. 1, 152; see also, Southam, "Introduction", Vol. 2, 20–21. ↑ 45.0 45.1 45.2 Cossy and Saglia, 169. ↑ Cossy and Saglia, 170. ↑ Cossy and Saglia, 169–70. ↑ 48.0 48.1 Cossy and Saglia, 171. ↑ Cossy and Saglia, 174. ↑ Cossy and Saglia, 178. ↑ The Memoir was published in December 1869 and dated 1870. ↑ The Memoir was written by Austen-Leigh with the help of his older sister, Anna, and his younger sister, Caroline. Both had known Austen. Le Faye, "Memoirs and biographies", 52–54; Southam, "Introduction", Vol. 2, 1–2. ↑ Southam, "Introduction", Vol. 2, 58–62. ↑ Southam, "Criticism, 1870–1940", 102–03; see also Watt, 6; Johnson, 211; Trott, 92–94. ↑ Southam, "Introduction", Vol. 1, 1. ↑ Southam, "Criticism, 1870–1940", 106; Le Faye, "Memoirs and biographies", 55; Southam, "Introduction", Vol. 2, 82. For an updated and revised version of this biography, see Deirdre Le Faye, Jane Austen: A Family Record, 2nd ed., (Cambridge: Cambridge University Press), 2003. ↑ Southam, "Introduction", Vol. 2, 34, 45; Trott, 92–93. ↑ Southam, "Introduction", Vol. 2, 13–14. ↑ Qtd. in Watt, 5–6. ↑ Southam, "Introduction", Vol. 2, 17. ↑ Qtd. in Southam, "Criticism, 1870–1940", 102–03. ↑ Southam, "Introduction", Vol. 2, 49–50. ↑ 65.0 65.1 Southam, "Introduction", Vol. 2, 52. ↑ Southam, "Introduction", Vol. 2, 74. ↑ Southam, "Introduction", Vol. 2, 33. ↑ Southam, "Introduction", Vol. 2, 69–70. ↑ Southam, "Introduction", Vol. 2, 25–30, 72; Fergus, 13. ↑ Southam, "Introduction", Vol. 2, 47. ↑ Lynch, "Cult of Jane Austen", 112. ↑ Trott, 94; Southam, "Introduction", Vol. 2, 46; Johnson, 213. ↑ Qtd. in Watt, 7. ↑ Qtd. in Southam, "Criticism, 1870–1940", 103. ↑ Qtd. in Watt, 7–8; see also Southam, "Janeites and Anti-Janeites", 240. ↑ Litz, Jane Austen, 39. ↑ Southam, "Introduction", Vol. 2, 92–93. ↑ Qtd. in Southam, "Criticism, 1870–1940", 107. ↑ Southam, "Criticism 1870–1940", 106–07; Litz, "Criticism, 1939–1983", 112. ↑ Southam, "Introduction", Vol. 2, 99–100. ↑ Brian Southam, quoted in Trott, 92; see also, Southam, "Introduction", Vol. 2, 79. ↑ Southam, "Introduction", Vol. 2, 79; see also Watt, 10; Trott, 93. ↑ Southam, "Introduction", Vol. 2, 79. ↑ Southam, "Introduction", Vol. 2, 99–100; see also Watt, 10–11; Gilson, 149–50; Johnson, 218. ↑ 87.0 87.1 Trott, 93; Southam, "Introduction", Vol. 2, 107–109, 124. ↑ Southam, "Criticism 1870–1940", 108; Watt, 10–11; Stovel, 233; Southam, "Introduction", Vol. 2, 127; Todd, 20. ↑ 90.0 90.1 Litz, "Criticism, 1939–1983", 112; Stovel, 233. ↑ Southam, "Introduction", Vol. 2, 129–31. ↑ Johnson, 219; Todd. 20. ↑ Gilbert and Gubar, 136. ↑ Todd, 33; Rajan, 102–03. ↑ Litz, "Criticism, 1939–1983", 113–17; Stovel, 234–38; Rajan, 101–09. Brontë, Charlotte. "Charlotte Brontë on Jane Austen". Jane Austen: The Critical Heritage, 1812–1870. Ed. B. C. Southam. London: Routledge and Kegan Paul, 1968. ISBN 071002942X. 126–28. Brownstein, Rachel M. "Out of the Drawing Room, Onto the Lawn". Jane Austen in Hollywood. Eds. Linda Troost and Sayre Greenfield. Lexington: University Press of Kentucky, 2001. ISBN 0813190061. 13–21. Cossy, Valérie and Diego Saglia. "Translations". Jane Austen in Context. Ed. Janet Todd. Cambridge: Cambridge University Press, 2005. ISBN 0521826446. 169–81. Duffy, Joseph. "Criticism, 1814–1870". The Jane Austen Companion. Ed. J. David Grey. New York: Macmillan, 1986. ISBN 0025455400. 93–101. Fergus, Jan. "The Professional Woman Writer". The Cambridge Companion to Jane Austen. Eds. Edward Copeland and Juliet McMaster. Cambridge: Cambridge University Press, 1997. ISBN 0521498678. 12–31. Galperin, William. "Austen's Earliest Readers and the Rise of the Janeites". Janeites: Austen's Disciples and Devotees. Ed. Deidre Lynch. Princeton: Princeton University Press, 2000. ISBN 0691050058. 87–114. Gilbert, Sandra and Susan Gubar. The Madwoman in the Attic: The Woman Writer and the Nineteenth-Century Literature Imagination. 1979. New Haven: Yale University Press, 1984. ISBN 0300025963. Gilson, David. "Later Publishing History, with Illustrations". Jane Austen in Context. Ed. Janet Todd. Cambridge: Cambridge University Press, 2005. ISBN 0521826446. 121–59. Grundy, Isobel. "Jane Austen and Literary Traditions". The Cambridge Companion to Jane Austen. Eds. Edward Copeland and Juliet McMaster. Cambridge: Cambridge University Press, 1997. ISBN 0521498678. 189–210. Honan, Park. Jane Austen: A Life. New York: St. Martin's Press, 1987. ISBN 0312014511. Honan, Park. "Biographies". The Jane Austen Companion. Ed. J. David Grey. New York: Macmillan, 1986. ISBN 0025455400. 18–23. Johnson, Claudia L. "Austen cults and cultures". The Cambridge Companion to Jane Austen. Eds. Edward Copeland and Juliet McMaster. Cambridge: Cambridge University Press, 1997. ISBN 0521498678. 211–26. Kelly, Gary. "Religion and politics". The Cambridge Companion to Jane Austen. Eds. Edward Copeland and Juliet McMaster. Cambridge: Cambridge University Press, 1997. ISBN 0521498678. 149–69. Kirkham, Margaret. "Portraits". Jane Austen in Context. Ed. Janet Todd. Cambridge: Cambridge University Press, 2005. ISBN 0521826446. 68–79. Lascelles, Mary. 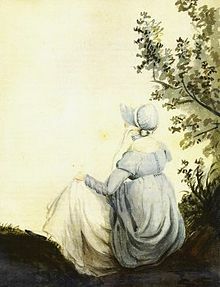 Jane Austen and Her Art. 1939. Oxford: Oxford University Press, 1966. Le Faye, Deirdre. Jane Austen: A Family Record. 2nd ed. Cambridge: Cambridge University Press, 2003. ISBN 0521534178. Le Faye, Deirdre. "Memoirs and Biographies". Jane Austen in Context. Ed. Janet Todd. Cambridge: Cambridge University Press, 2005. ISBN 0521826446. 51–58. Lewes, George Henry. "Lewes: The great appraisal". Jane Austen: The Critical Heritage, 1812–1870. Ed. B. C. Southam. London: Routledge and Kegan Paul, 1968. ISBN 071002942X. 148–66. Litz, A. Walton. "Criticism, 1939–1983". The Jane Austen Companion. Ed. J. David Grey. New York: Macmillan, 1986. ISBN 0025455400. 110–17. Litz, A. Walton. Jane Austen: A Study of Her Development. New York: Oxford University Press, 1965. Lynch, Deidre. "Cult of Jane Austen". Jane Austen in Context. Ed. Janet Todd. Cambridge: Cambridge University Press, 2005. ISBN 0521826446. 111–20. Lynch, Deidre. "Sequels". Jane Austen in Context. Ed. Janet Todd. Cambridge: Cambridge University Press, 2005. ISBN 0521826446. 160–68. MacDonagh, Oliver. Jane Austen: Real and Imagined Worlds. New Haven: Yale University Press, 1991. ISBN 0300050844. Macdonald, Gina and Andrew Macdonald, eds. Jane Austen on Screen. Cambridge: Cambridge University Press, 2003. ISBN 0521793254. Pucci, Suzanne and James Thompson. "Introduction: The Jane Austen Phenomenon: Remaking the Past at the Millennium". Jane Austen and Co. Albany: Stage University of New York Press, 2003. ISBN 0791456161. 1–12. Rajan, Rajeswari. "Critical Responses, Recent". Jane Austen in Context. Ed. Janet Todd. Cambridge: Cambridge University Press, 2005. ISBN 0521826446. 101–10. Scott, Walter. "Walter Scott, an unsigned review of Emma, Quarterly Review". Jane Austen: The Critical Heritage, 1812–1870. Ed. B. C. Southam. London: Routledge and Kegan Paul, 1968. ISBN 071002942X. 58–69. Simpson, Richard. "Richard Simpson on Jane Austen". Jane Austen: The Critical Heritage, 1812–1870. Ed. B. C. Southam. London: Routledge and Kegan Paul, 1968. ISBN 071002942X. 241–65. Southam, B. C., ed. Jane Austen: The Critical Heritage, 1812–1870. Vol. 1. London: Routledge and Kegan Paul, 1968. ISBN 071002942X. Southam, B. C., ed. Jane Austen: The Critical Heritage, 1870–1940. Vol. 2. London: Routledge and Kegan Paul, 1987. ISBN 0710201893. Southam, B. C. "Janeites and Anti-Janeites". The Jane Austen Companion. Ed. J. David Grey. New York: Macmillan, 1986. ISBN 0025455400. 237–43. Southam, B. C. "Criticism, 1870–1940". The Jane Austen Companion. Ed. J. David Grey. New York: Macmillan, 1986. ISBN 0025455400. 102–09. Stovel, Bruce. "Further Reading". The Cambridge Companion to Jane Austen. Eds. Edward Copeland and Juliet McMaster. Cambridge: Cambridge University Press, 1997. ISBN 0521498678. 227–43. Todd, Janet. The Cambridge Introduction to Jane Austen. Cambridge: Cambridge University Press, 2006. ISBN 978-0-521-67469-0. Tomalin, Claire. Jane Austen: A Life. New York: Alfred A. Knopf, 1997. ISBN 0679446281. Troost, Linda. "The Nineteenth-Century Novel on Film: Jane Austen". The Cambridge Companion to Literature on Screen. Eds. Deborah Cartmell and Imelda Whelehan. Cambridge: Cambridge University Press, 2007. ISBN 9780521849623. 75–89. Troost, Linda and Sayre Greenfield. "Introduction". Jane Austen in Hollywood. Lexington: University Press of Kentucky, 2001. ISBN 0813190061. 1–12. Trott, Nicola. "Critical Responses, 1830–1970". Jane Austen in Context. Ed. Janet Todd. Cambridge: Cambridge University Press, 2005. ISBN 0521826446. 92–100. Twain, Mark. "Mark Twain on Jane Austen". Jane Austen: The Critical Heritage, 1870–1940. Ed. B. C. Southam. London: Routledge and Kegan Paul, 1987. ISBN 0710201893. 232–33. Waldron, Mary. "Critical Responses, early". Jane Austen in Context. Ed. Janet Todd. Cambridge: Cambridge University Press, 2005. ISBN 0521826446. 83–91. Watt, Ian. "Introduction". Jane Austen: A Collection of Critical Essays. Englewood Cliffs, NJ: Prentice Hall, 1963. ISBN 0130537519.